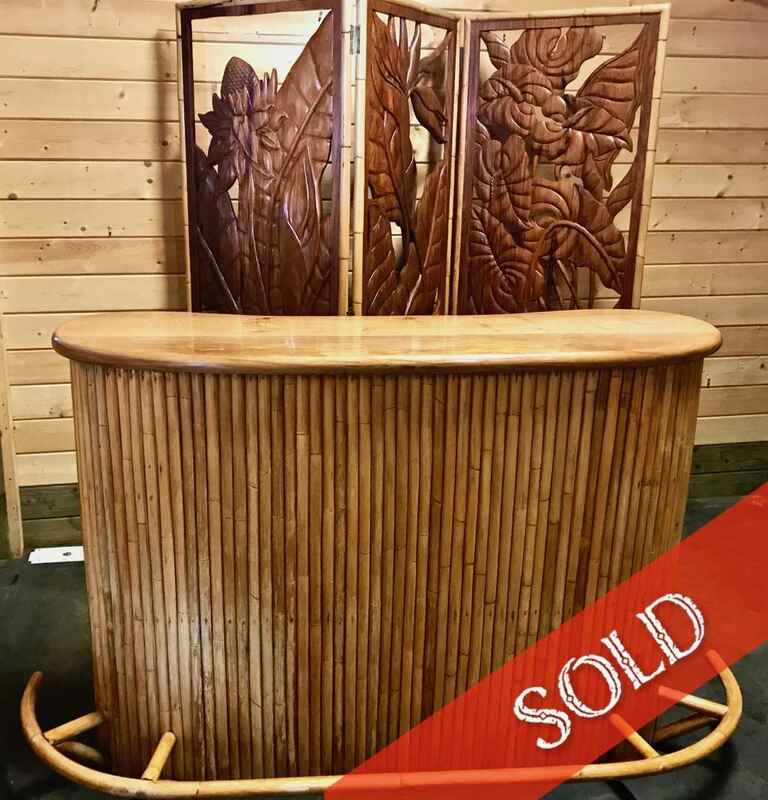 Entertain guests with this unique "Retro" Hawaiian bar and companion folding screen. The vintage rattan bar is topped with Monkeypod and has a bent rattan foot rail for relaxing and chatting with the host! The Art Deco-style wood screen is carved with torch ginger and anthuriums and will provide a wonderful setting for your hosted events. This fabulous period set is a remarkable offer!